Tim Ellis has been doing some serious research in the past several days. 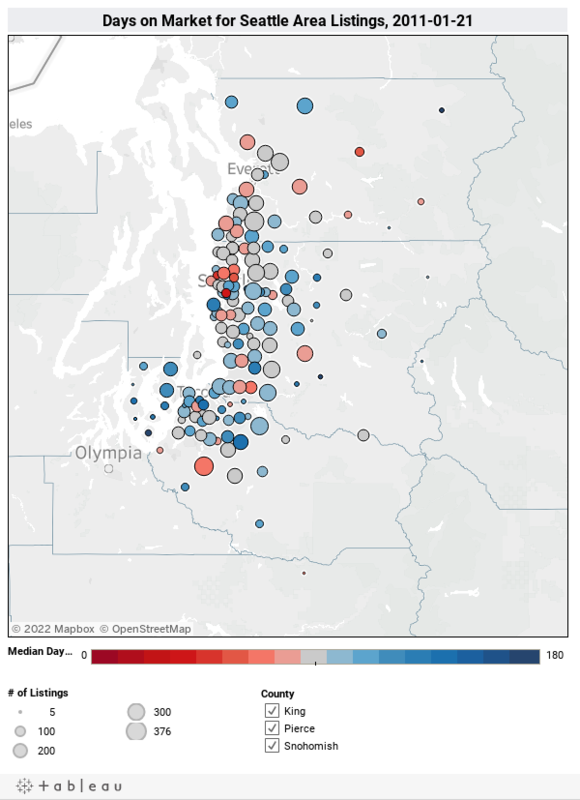 The view you see here shows the "age" of listings in the Seattle real estate market, by zip code. The bluer the dot, the longer the average time on the market. Tims readers were particularly interested in the activity (or lack thereof) in West Seattle. Some surmised that the high number of Alki beach condos and high-end view properties were dragging the average value up.